Between rounds or heat races, time is of the essence; Qwik Release Hose Ends and adapters are the answer. 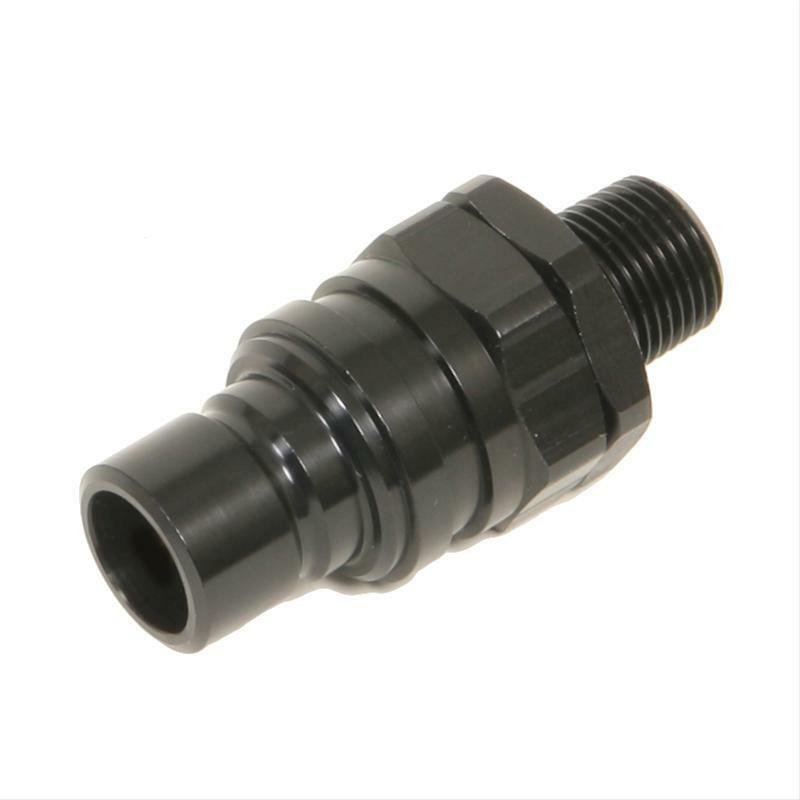 Designed for quick installation or removal, without tools, simple Qwik Release design ensures precise attachment eliminating the possibility of leaks from loose or over-tightened hose ends. Engineered using our proven Full Flow hose end design, assures ease of assembly with Russell ProFlex or ProRace Hose for a balanced and trouble free assembly. Wide assortment of threads to choose from AN 37º, Pipe Thread and Barbed Style in male and female configurations. Valved prevent fluid loss from system when disconnected with minimal flow restriction. Non-valved allow optimum in flow where fluid loss is not an issue with disconnected.